Festus Ezeli was selected with the last pick of the first round in the 2012 NBA Draft. 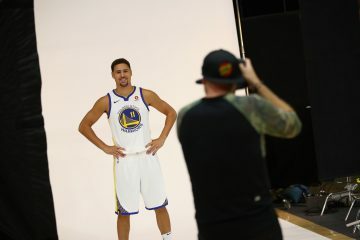 He wasn’t a popular name, but his selection assured the organization (and fans) that the team recognized its need for a formidable center to backup Andrew Bogut. Ezeli showed promise with stout interior defense, his ability to block shots and subsequently, filling in the role he was drafted for earlier than many thought he would. 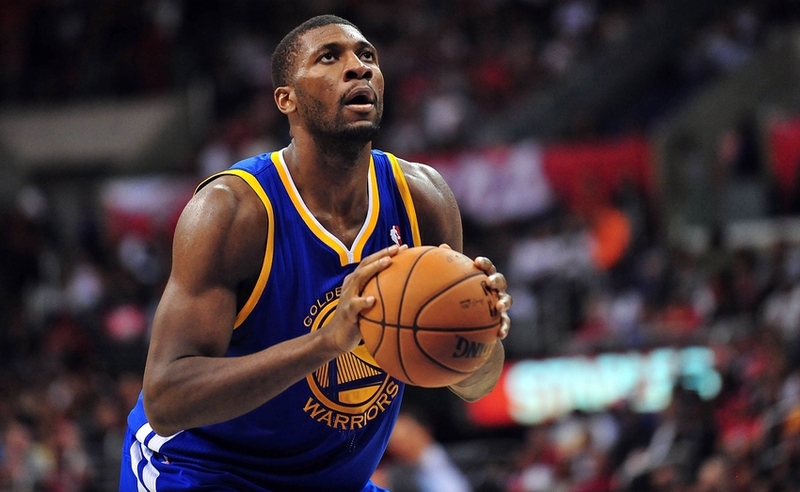 However, with success comes trials, as Ezeli missed all of the 2013-14 season following right knee surgery. 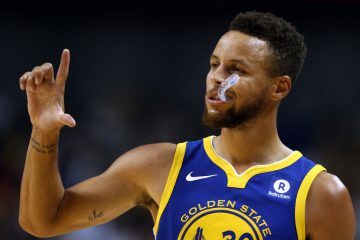 Many thought he would be back in time for the finishing stretch, and rumors floated during the playoffs that he might make his return against the despised Los Angeles Clippers. He never came, and the mystery surrounding his absence grew larger. It became a lost season, and after showing great promise in his first two seasons many wonder if he will be the same player. 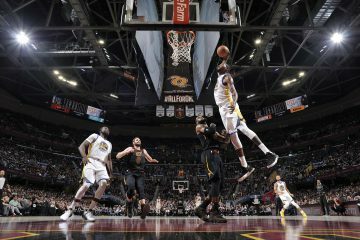 He’s been cleared to play, and despite a minor hiccup this summer Ezeli plans to be healthy in time for the new season. As I sat down with Ezeli on Sunday afternoon, there was little frustration stemming from the missed time, just hope and anxiousness. The season is closing in, and he wants to prove those very doubters wrong. His role is the same, but the situation is very different. 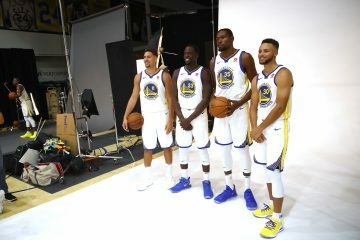 New coach, new players and a rejuvenated Ezeli have high hopes this season. Q: Let’s go back to before last season. Many people don’t know when exactly you got hurt. When exactly did you hurt your right knee? A: I was injured in the last game of the regular season of my rookie year. It was against Portland at the end of the game. One of the guys ran into me and my knee buckled and it was hurting all through the playoffs but just fought through it. Q: Did you know when it happened how severe it was going to be? A: I knew something was wrong as I was playing with it but I just kept leaving my teammates hanging. When I had the surgery I knew all the details and the risks. I knew there was the possibility of missing the entire year. At the same time they told me that usually it takes 6-9 months to return. I wasn’t expecting to miss the entire season. I was actually looking at the calendar before the season ended. I marked out 6-9 months which would be December to February. I was thinking the latest I would be back was February or March. I was looking at the calendar and saw that would be a lot of games to miss. As the rehab continued we had to respond to different things. If we push then we would push it but we may have to lay back off the knee for a little. That is just how rehab works, you never know how each person will respond. Luckily for me I’m finally healthy. When they finally cleared me, I just started going crazy in the gym. I’ve been working. My body just wasn’t used to all the pressure. So I had a little inflammation on my shin. but it’s something very minor. I was supposed to play here at summer league but they pulled me out and wanted that to heal so it won’t become a problem. It is what it is. I’m ready to play next season. Q: What’s been the most frustrating part of missing time? A: The most frustrating part really has been just not being able to be out there with your guys. I’m the biggest team guy out there. I just want to help and being out there on the bench cheering; sometimes you feel useless. I found a way to make it positive, I was learning and watching the older guys. I was trying to figure out a way to get better so when I do get back on the court I will be effective. Q: Has there been a particular person, whether that’s a coach or teammate that has been especially helpful? A: I was doing my whole rehab with Johan Wang, who is our trainer. But at the same time the mental aspect is just as big as the physical. I was talking to guys like Jermaine, D-Lee and Iguodala. I always hang out with him and he always talks to me. Bogues [Andrew Bogut] too. All those guys were all supportive of me and telling me that it was going to be frustrating and that’s the name of the game but you have to try and find other ways to get better. You have to keep you composure. Q: Knowing Andrew’s injury history, do you feel any added pressure to get healthy knowing you’re importance to the team in that regard? A: That’s something that I can’t control. I’m just worrying about being healthy myself and then being ready whenever they need me at this point. I have enough things to worry about for myself [laughs]. Q: How have you progressed offensively since your rookie season? A: Well, being out allowed me to work on my touch a lot, work on my IQ; watching and seeing what it is that different guys do. My floor spacing, just different movements. Knowing where to go on the floor and how to get different rebounds. Watching all these different guys. I’ve been watching a lot of tape. I’m ready to show what I’ve improved on. Q: Touching on the coaching situation, going back to Mark. Did you see that coming? A: There were rumors and things going on throughout the season. Being that this was my first go around with a coach getting fired, I didn’t know what to expect honestly. The way it happened was a sad situation because that was my first coach and everything. But I’m looking forward to our new coach. so far, after spending time with him, he’s a great guy. I’m ready for a new year. Q: With new head coach Steve Kerr mentioning the need for a stretch-4 and spacing the floor, do you feel the need to work on that part of your game more? Mid-range, outside the low block? A: Absolutely. I’ve been working on that with the coaches and the staff. It’s always been there I just never really tapped into it. As a player we have to adjust to the coaches and the game plan. Whatever he needs from us, whatever he needs from me I’m going to work on my game and adjust it to his game. Q: How much have you talked to him about the offense and the difference in how you guys will play? A: He says he wants us to run. As a team we have the talent and ability to run and get up a lot of shots. We have a lot of shooters on our team and a lot of talent on our team. He thinks the ball should move a lot, touches hands and switch hands. I’ve been watching a lot of what they’ve been doing in summer league, I assume that is what we will be working on: some pitch-post action, the ball will be going through the bigs a little bit. I’m excited because it gives the bigs a chance to help the offense as well. Q: How many times have you and Coach Kerr talked? Did you you guys talk about specifics with regards to your game and role next season? A: Yeah, and that’s also why I’m out here in Vegas, to spend time with him and watch him to see what he likes out of his players so I get a little bit of a head start. I do really like him a lot. Q: Now, yourself being from Nigeria, there were some traumatic events that happened during the World Cup. How much did that affect you and your family personally? A: I do have family over there. The first thing I did was get on the phone to call my family. It was a little disheartening but then again the World Cup is a time when we can live outside of our daily struggles and come together as a country to support our country. I wish they went farther [laughs], I was really disheartened, but not disappointed because they did play hard. I had high expectations for us, I just wish they went further. Q: You’re very active within the Bay Area community. How much of this is because of your upbringing in Nigeria? How has being active within the community affected you? A: I see myself being able to play basketball as a privilege. Also, having a very unique story like mine has been a great opportunity for me to tell people this story and motivate people, especially kids. I want them to know that they can do whatever they want to do. I would’ve never thought that seven years ago I would be in the NBA and a key player on a team. At some point I had the dream in my head and was woking towards that and now I’m here today. i just want to tell kids that no goal is too high and you just have to believe in yourself and work hard.